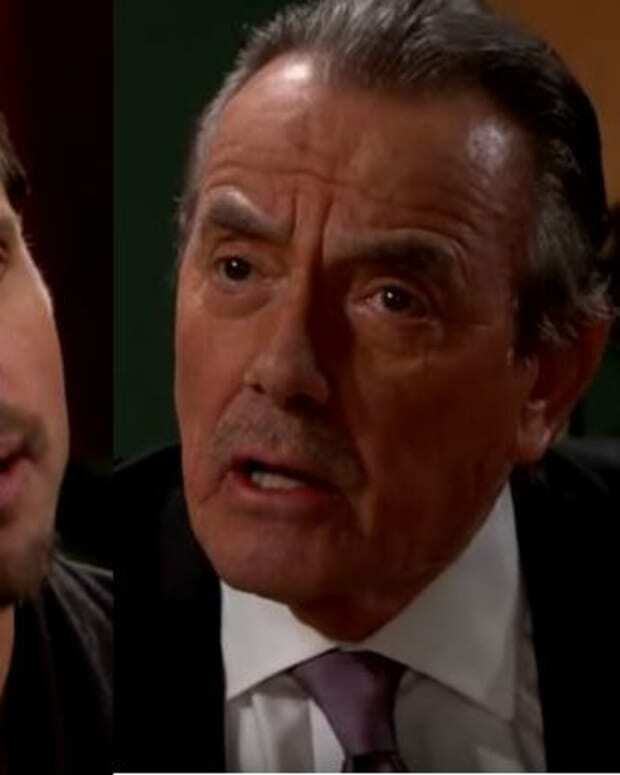 Did The Young and the Restless Wait Too Long For Its Baby Switch Reveal? Sharon&apos;s (Sharon Case) cuckoo bird, a.k.a. Patty Williams (Stacy Haiduk), has come home to roost on The Young and the Restless. The CBS Daytime soap opera is finally poised to reveal Baby Sully&apos;s true identity. With both the tot&apos;s biological mother and father dead, will the all-but-forgotten plot twist even matter? Patty has been sending creepy birthday gifts and prank-calling Sharon about the Christian/Sully baby switch this week on Y&R. It makes sense Sharon doesn&apos;t want hubby Dylan (Steve Burton) to learn he&apos;s once again on the receiving end of a paternity dupe. However, without Adam (Justin Hartley) or Sage (Kelly Sullivan) on the canvas to claim their son, I can&apos;t see much in the terms of dramatic payoff for this storyline. If fans want to see Dylan and/or Nick (Joshua Morrow) reacting to a paternity scam, they can just head over to YouTube. Before she was the merriest widow ever, Chelsea (Melissa Claire Egan) conned Dylan into believing he was the father of her son Connor. For Nick&apos;s part, the Newman scion should still be reeling from Sharon tricking him into believing Summer (Hunter King) wasn&apos;t his "Super Girl" a year or so ago. Hopefully we&apos;ve seen the last of these asinine, recycled, "bipolar made me do it" paternity pickles for Sharon, now that Sally Sussman is running the Y&R writers&apos; room. Check out a sneak peek of tomorrow&apos;s Y&R below, then sound off on the Sully sitch and the rest of the teased storylines in the comments!